Miss Lana Rebel has been called “the badass matriarch of local dustbowl country.” It’s an appreciative nod to a songwriter whose presence can cut through the din of a crowded honky-tonk, and a voice that has been likened to ladies such as Loretta Lynn and June Carter. But it’s her stripped-down format and a less brassy vocal style that gives her recordings and performances that warm-fuzzy feeling, and for some, an addictive quality. 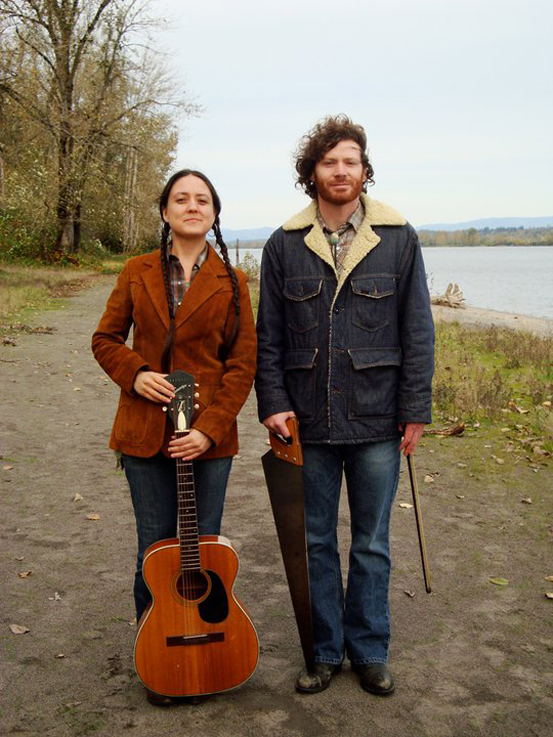 The songs certainly channel a bit of Golden Era country (think Lefty Frizzell and Hank Williams Sr.) and stay pretty true to traditional country in arrangement with influences from early folk and blues artists like Leadbelly and Woody Guthrie. Lyrically, she shares the narrative qualities of character songwriters such as Willie Nelson, Kris Kristofferson and Townes Van Zandt. Stir in a few of her simple yet contemplative guitar solos, and the outcome is a dusty lonesome sound that is uniquely her own. Miss Lana Rebel has done extensive touring and has life-long fans in all corners of the states (and some other countries, to boot). Her recordings have enjoyed acclaim from top Country and Americana radio programs including BBC Radio Ulster in Ireland, and Bob Harris Country (seminal presenter for The Old Grey Whistle Test) on BBC Radio 2. She has recorded a live session for BBC Radio One at the legendary Maida Vaile studio in London. She was featured on All Songs Considered for NPR, was chosen as best Northwest Country Artist by KBCS (Seattle) and has charted in the Top 10’s at college radio stations in the US. For the last few years, Lana has been collaborating with Kevin Mayfield who originally played the Wurlitzer organ in Lana’s group, The Broken Promises. His contributions have added even more character and depth to her material, and his songs have comfortably co-mingled with hers in their charming two-piece act. Kevin Mayfield’s songwriting is as rugged and laid back as the little mountain town in Southern California that he grew up in. He has an educated background in media arts with professional experience in music and film. However, the charismatic singer and harmonica, piano, saw, saxophone and clarinet player is most comfortable with a guitar in his hands. His offbeat style of songwriting is reminiscent of Flying Burrito Brothers, Holy Modal Rounders, and Beck’s acoustic material. Before meeting Miss Lana Rebel and joining her band, he worked alongside (ex-Kill Rockstars) artist Ryland Bouchard, on his solo release, “Seeds” and with whom he did a small tour of Mexico. He also recorded a psychedelic spaghetti western-esque album with Gavin Blackstock in their collaboration, Feathers and Spurs. 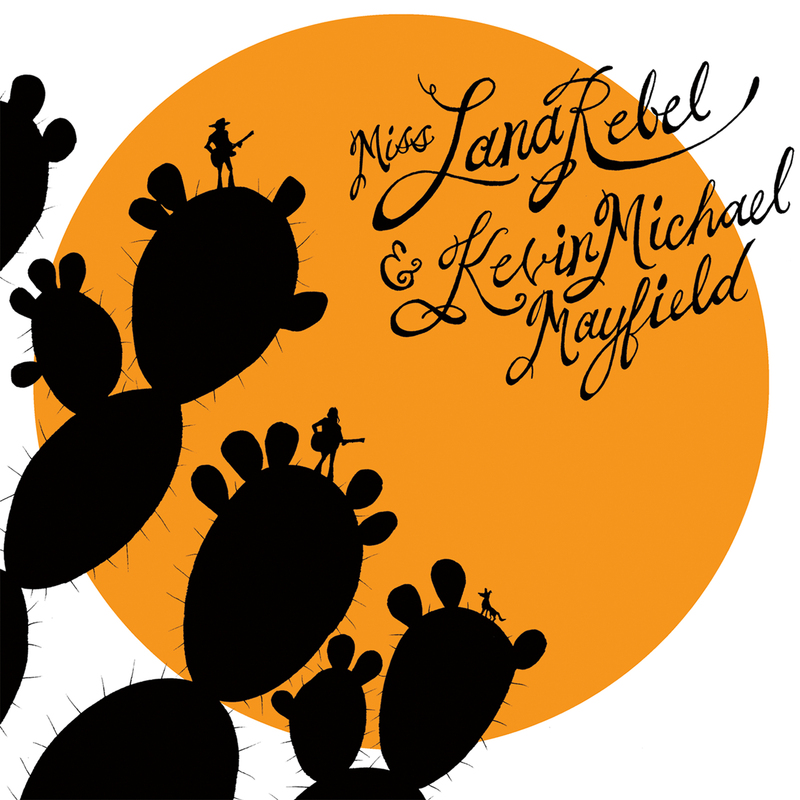 Now Kevin is not only an integral aspect of Lana Rebel’s live show, where the two showcase and support each others’ material, but an indispensable partner for her in recording, and touring as well. Lana and Kevin currently reside in Tucson, Arizona. They can be found weekly at La Cocina, where they have been mind melding, and honing in a stark and beautiful sound. That sound will finally be captured on vinyl when they record Lana’s fifth album in early 2015 for FPE records. With a timeless croon that recalls Dolly Parton and June Carter Cash at their most gloriously downtrodden and angelic, …country siren Lana Rebel is a wonder to behold. The tiny singer-guitarist belts out stripped-down country that defines the genre in its most pristine and classic form …Rebel’s the real deal: a passionate singer whose earnest songwriting and haunting voice seem transplanted from a bygone era yet ring true in the present.